One of the most stunning landscapes worldwide is for sure the Serengeti in Africa. Numerous movies and documentations have been made to show the nature, the animals, the richness – and the need to save and preserve this for future generations. 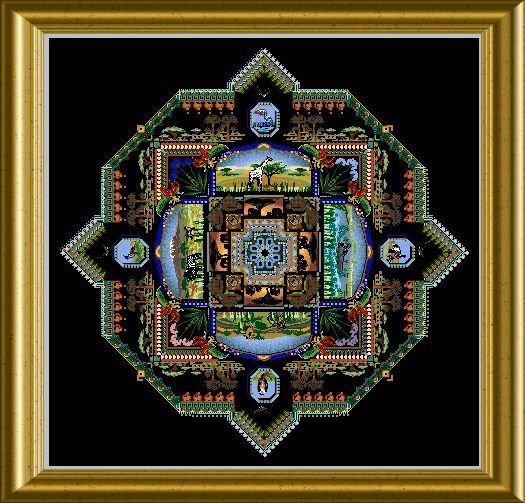 In this Mandala I took many single impressions to shape the form, to give you small interesting bits to stitch and to create an overall impression of this stunning area of the world. 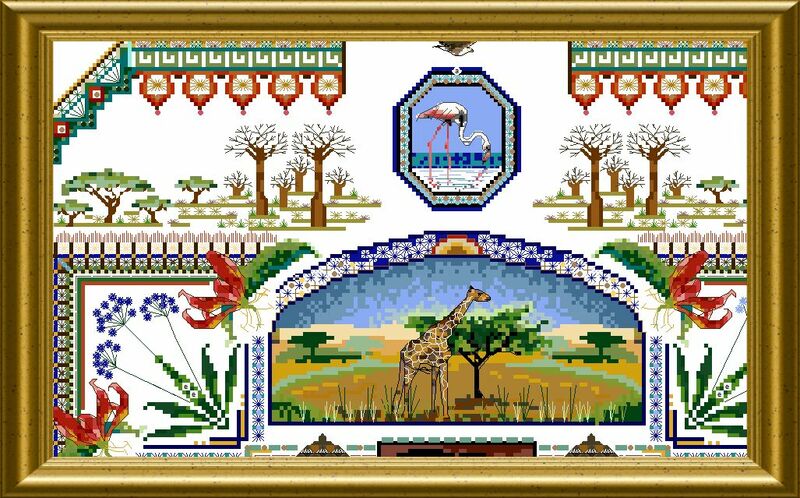 A beaded pond in the center is surrounded by elephant silhouettes against a colorful sunset – you stitch typical huts with Special Stitches which give them a dimenional structure, then you add 4 large panels with landscapes and typical animals. 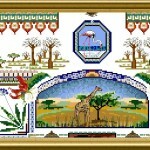 Flowers bloom in the corners, a border of Baobab and Acacia trees divides from the octagon ornaments with detailed over-one birds. Soaring Eagles drift over the entire scene – and a beautiful ornamented border gives a frame to all the single pieces. You will use many interesting and different threads, beads and crystals to embellish your embroidery. Materials List for download:Onl 92 Mat List. 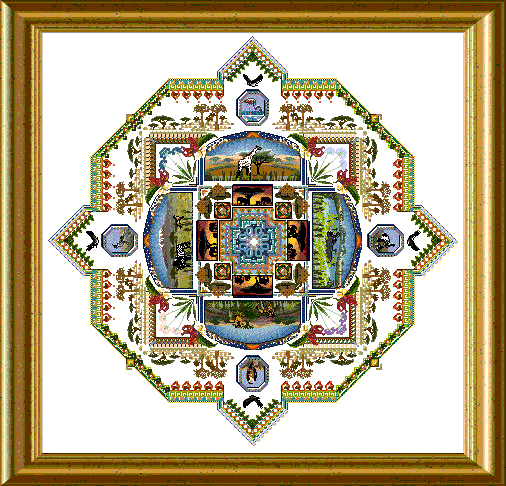 The mere design size is 409 x 409 stitches.